Water treatment filter cartridges with coconut shell granular activated carbon (G.A.C) for reducing chlorine and unpleasant odours and flavours. The LA SX (DOE) cartridges are made of a transparent plastic container filled with granular activated carbon obtained from coconut shells. The LA MIGNON SX cartridges with granular activated carbon from coconut shell are designed for specific MIGNON housings. The FA CA SX (DOE) filter cartridges with polypropylene wound wire and granular activated carbon (GAC) from coconut shell. The CA SX (DOE) filter cartridges have a filtering body in polypropylene Melt-blown filled inside with granular activated carbon (GAC). 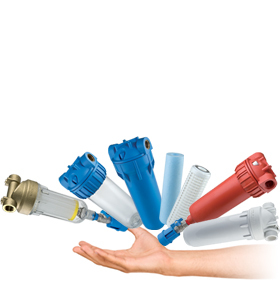 The Melt-blown polypropylene filter cartridges and granular activated carbon BT CPP LA BX offer all of the advantages of the 45 mm o-ring.